Since 1894, great bakers have passed down the knowledge that there’s no substitute for Swans Down® Cake Flour. For perfect cakes, cookies, muffins, and more, nothing guarantees that first-bite smile like Swans Down. For great recipes and more, visit swansdown.com. Preheat oven to 350 °. Spray 2 (9-inch) round deep cake pans with baking spray with flour. Line bottom of pans with parchment paper, and spray pans again. Bake until a wooden pick inserted in center comes out clean, about 30 minutes. Let cool in pans for 10 minutes. Remove from pans, and let cool completely on wire racks. Spread Vanilla Frosting between layers and on top and sides of cake. Garnish with raspberries and mint, if desired. In a large bowl, beat butter with a mixer at medium speed until creamy. Gradually add confectioners' sugar and enough buttermilk to achieve a spreadable consistency. Beat in vanilla and salt. 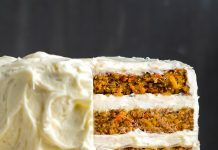 Swans Down® Cake Flour is 27 times finer than all-purpose flour, so it makes your cakes rise higher and gives them a texture that is lighter, fluffier, and more moist. 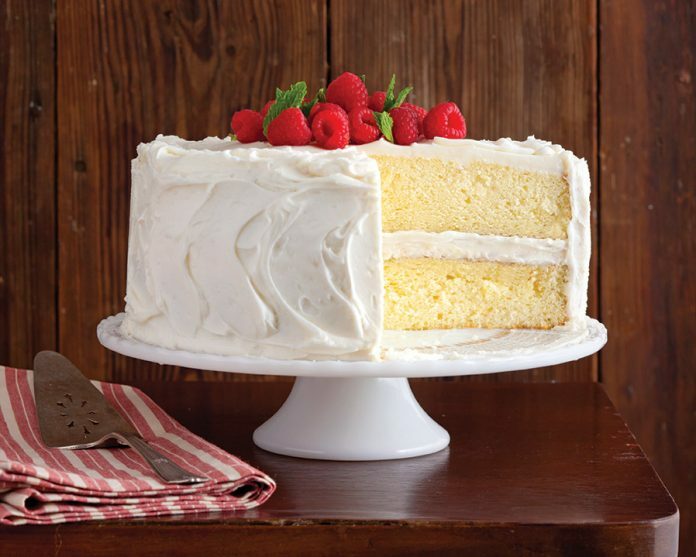 Swans Down® Cake Flour is great for all baked goods, not just cakes. It makes cookies more delicate, biscuits more tender, muffins more moist, pancakes fluffier, and everything more delicious. Sift cake flour once, and then spoon desired amount into your measuring cup. Use a knife to scrape excess flour from measuring cup. Use dry measuring cups (as opposed to liquid) for measuring Swans Down® Cake Flour.